News of the crash of Germanwings Flight 9525 creates a familiar refrain: Another person has chosen to end life with the destruction of those in his or her proximity. Death is an abstraction to these individuals. It might incorporate an element of fantasy, in that death allows that individual to achieve a higher state of being. However, it is not something associated with grief, despair, or the more humanist emotions. Abstract death is devoid of emotion. We don’t yet know if the Germanwings co-pilot exhibited a penchant for the Hate, but shouldn’t be surprised if it surfaces. Death and hatred share an embrace. Abstract death reflects the highest form of the Hate. I bring this up because our news organizations carefully avoid associating the teaching of hate with its ultimate expression. Our culture won’t go there. Mr. Schultz knows that racism exists only with Republicans. He sees himself as an altruist, working to remove the scourge of White Male Privilege from Republicans. There is no need to change the wealth and personal makeup of people such as George Clooney or himself. They are above it all. It is Republicans who must pay reparation. People inherently feel uncomfortable (especially Republicans!) when they are being taught to hate under a guise of altruism. That’s natural. What’s surprising is that recognition of the technique cannot be addressed in our culture. Luckily, a free market will drive home reality for Mr. Schultz. While sales of Starbucks beverages might soar in locations such as Seattle or San Francisco, I would imagine the “Race Together” initiative created significant sales declines in Utah and North Dakota. Mr. Henninger tells us that it takes some ability to use race in promoting the anti-Republican political message. He shows how president Obama and Eric Holder are skilled at it. 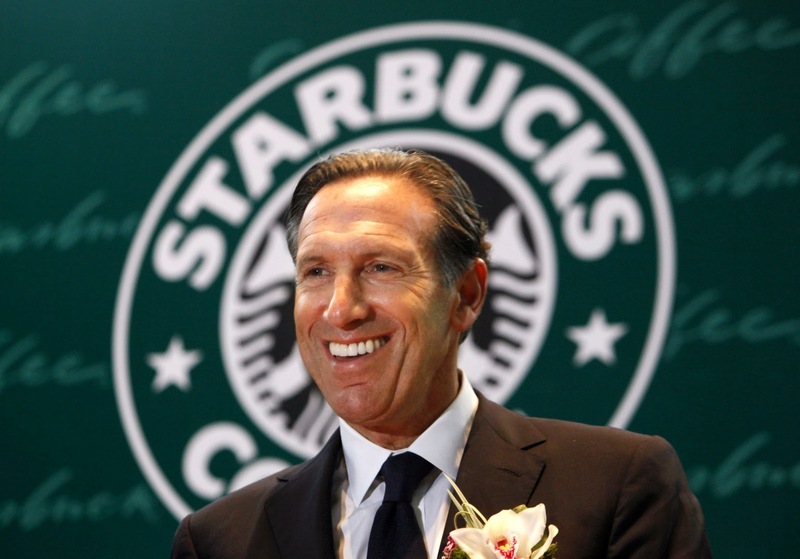 Howard Schultz is not. Race, Hate, Death: Two of these are timeless issues to address in our culture and in human affairs. One of them is used for political advantage by the Democratic Party. That’s the one that gets attention in our American culture. Confirming the situation, Starbuck’s issued a statement to CNN that was not filled with disgust and outrage, but instead, excuses. It cited “local customs” and “local law” as it explained that the only reason women were temporarily banned from that Starbucks was because they needed to build a gender wall inside the store. Redefining the issue to make solutions possible. Starbucks chief executive Howard Schultz took it in the neck from all sides for asking his baristas to chat up half-awake customers about race in America. Mr. Schultz, however, is merely one voice in the conversation on race, which since the Ferguson shooting and Selma’s 50th anniversary has settled on American politics like winter in the East, harsh and unending. While much of it is predictable or discouraging, others are trying something really new—a positive point of view. We start with the discouraging words. The nomination of Loretta Lynch, the black federal prosecutor from the Brooklyn district, has elicited comments about her delayed confirmation vote in the Senate. These two members of Congress are saying some Senate Republicans, five decades after a bipartisan vote passed the Civil Rights Act, are opposed to Loretta Lynch because she is black. A fair parsing of these comments by the president and attorney general also suggests the possibility of racism among Senate Republicans. Others, whose work doesn’t require them to look at all of American life through the keyhole of politics, have different ideas. As the Obama presidency ends, the status quo on race is in a bad place. If media coverage reflects reality (a limitless “if”), the country’s racial polarization is as bad as most people can remember. Ferguson, Staten Island, the Brooklyn cop killings, the Oklahoma fraternity—a visitor from Mars might conclude next to nothing good has happened since Selma. On the surface of politics, the left browbeats the right in a bleak, zero-sum standoff. In some conservative circles, a school of reduction holds that the black vote is gone and the Hispanic vote is a waste of time. The future lies in reanimating the 1980s voting bloc of Reagan Democrats that Ted Cruz identified his campaign with this week. But just as there is black opinion talking now about getting past the Sharpton race cult and extending a hand, some of the Republican Party’s presidential candidates are doing the same thing. Rand Paul, Jeb Bush, Marco Rubio and Chris Christie, in words or with policies (such as Gov. Bush’s early school-choice program), have sought minority support. Gov. Christie has done a lot of town halls in black neighborhoods across New Jersey, and in 2013 got 21% of the state’s black vote. Shaquille O’Neal did commercials for Mr. Christie. The race issue will remain after the Obama years. Emerging now is a desire to redefine this subject in ways that make it available to solution.